We love fellow Hoosiers that volunteer. 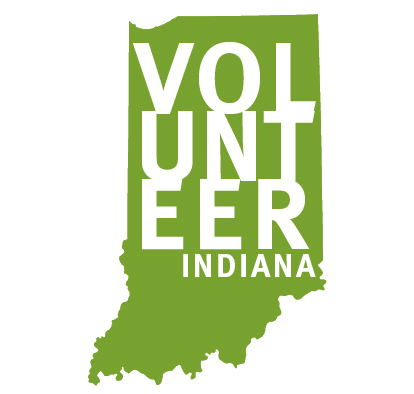 We’re working on building volunteer opportunities in other areas, but right now we offer group volunteer opportunities in our Indianapolis programs. If you’re a group in another area or an individual that wants to get involved, you can give back by organizing a supply drive at your work, school or place of worship. We love having special events for our clients—baby showers, birthday parties for children, game nights, spa nights, or holiday parties for our clients to celebrate throughout the year. Your Investment: A treat for up to 60 people, plus whatever activity supplies needed for your party. Seeing that community members care means a lot to our clients. Groups can come do crafts together, play games or host a movie night. You could also bring and serve a special meal for one of our programs. Your Investment: Refreshments/snacks, supplies for your chosen activity. We have annual donation drives such as Operation Backpack in the summer for school supplies for our clients' children, and a Christmas Gift donation drive in the winter, but also have periodic donation drives for clients' baby showers, or other client needs. Contact Morgan for specific needs for our programs' clients. Paint a facility, build a fence or do any other needed projects. Do some spring cleaning (painting, yard-work, repairs, etc.) at one or more of our programs during any time of the year. Host an event at your home! We'd love to partner for creative ways we can fundraise together. Host a garage sale, car wash, bake sale, benefit concert, etc. If you're interested in hosting bible studies or Sunday services for our clients, please contact Chaplain Kimberly Barlow at kbarlow@voain.org or (317) 224-2613.